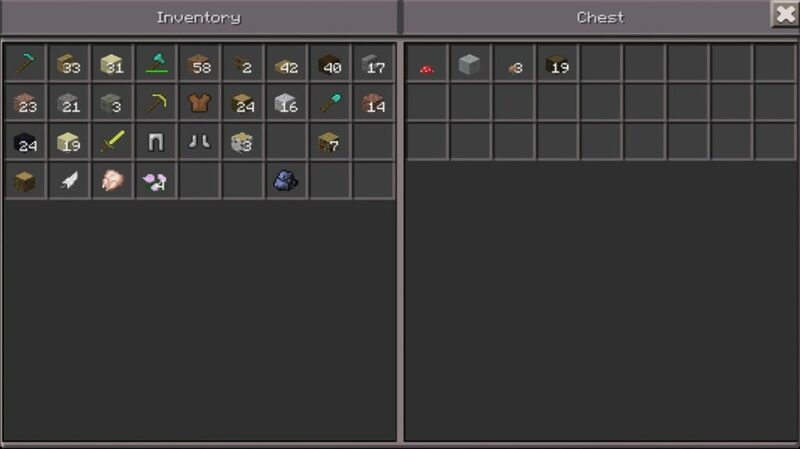 Backpacks Mod adds an very useful thing to the Minecraft Pocket Edition – a backpack. They you can make yourself an unlimited number and store in these backpacks you can do anything. 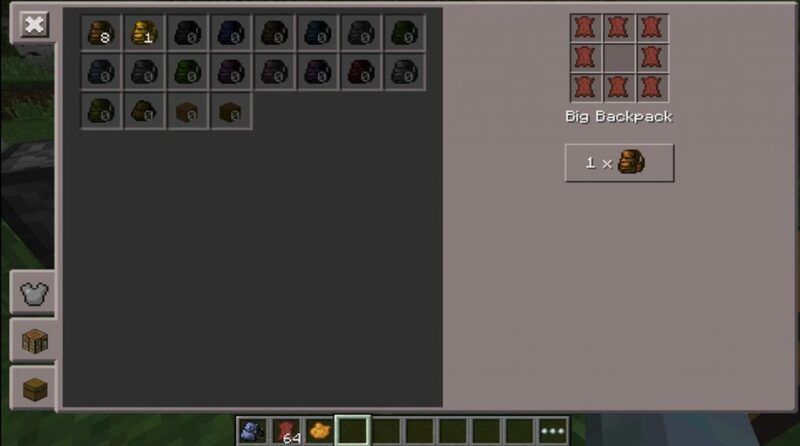 The backpack has the same capacity as your interface and it’s great because by making 10 such backpacks you have increased the capacity of your inventory by 10 times. But provided that these 10 backpacks will be in your inventory. You can easily go on long trips, because everything you need can now be taken with you. Just put in your new backpack all the necessary things and go to meet adventure. 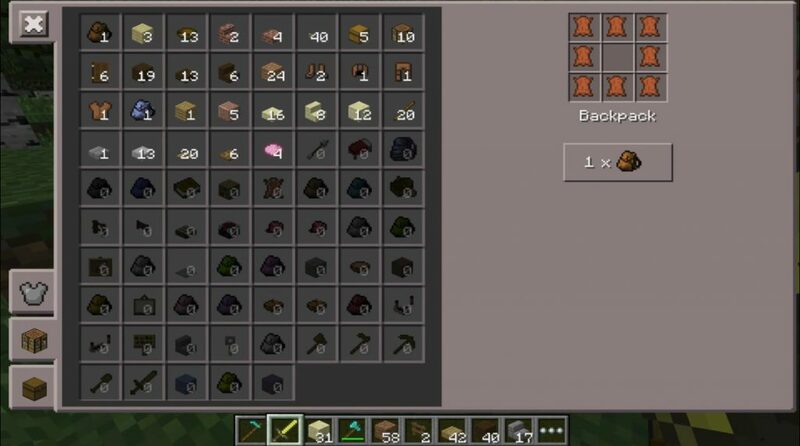 With you, Backpacks Mod for MCPE 0.15.3 / 0.15.2 / 0.15.1 / 0.15.0 / 0.14.3 / 0.14.1 / 0.14.0 / 0.13.1 and means that you will feel much more comfortable! This mod is very convenient, as well as convenient to use it, it is very simple.